We're a diverse group of down-to-earth, straightforward people with a passion for home furnishing. We come from all over the world but we share an inspiring vision: "to create a better everyday life for the many people". How we realize this vision is based on our shared humanistic values. These values are the foundation of our work and our inclusive, empathizing, open and honest culture. 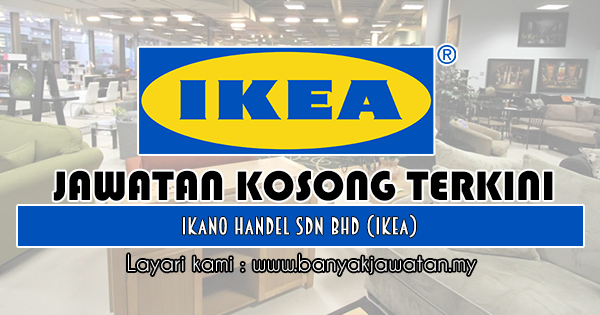 Terima Kasih Kerana Membaca Dan Menyemak Jawatan Kosong di Ikano Handel Sdn Bhd (IKEA) - 7 Januari 2019 Selamat Memohon Dan Semoga Berjaya Kami Ucapkan, Sila LIKE Facebook Page Kami Dan Kongsikan Kepada Semua.